The Sophia coffee table consists of three separate plates. The defining characteristics of this Sophia model is the turning mechanism combined with a ceramic plate. The upper most plate can pivot 360° and is made of grey ceramic. This sturdy upper plate is scratch-proof and easy to maintain. 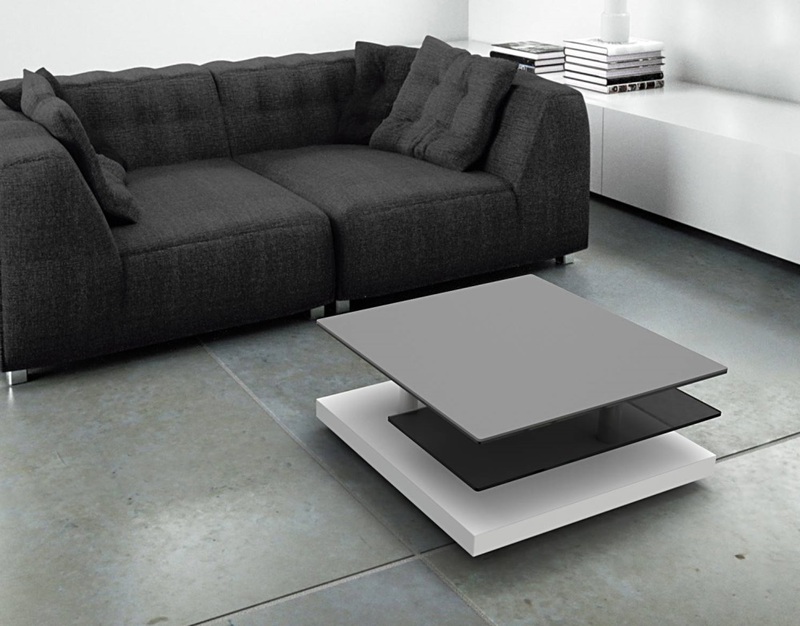 This unique combination of both movable and immovable plates will bring a touch of class to your living room.